I recently spoke at the «Cad-Q days» conference in Stockholm. 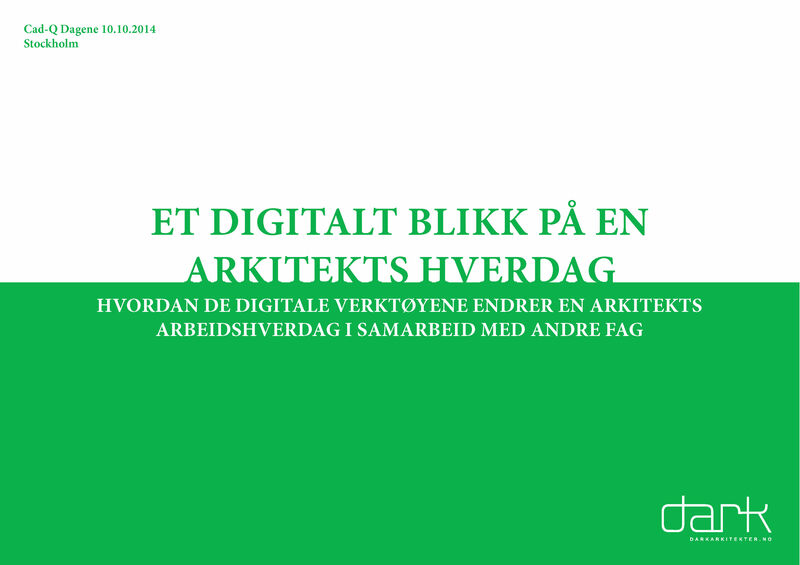 I shared my vision of how digital tools are changing the daily work of an architect. I see a great potential to make great architecture by embracing new tools, and by understanding the borders between different disciplines are blurring out.